Inside the Middle Child rehearsal room. Photo by Thomas Arran. Do you love telling stories? Fancy working with actors, musicians, writers and designers to bring them to life on stage? Then we want to hear from you as they look for potential new theatre directors in the city. 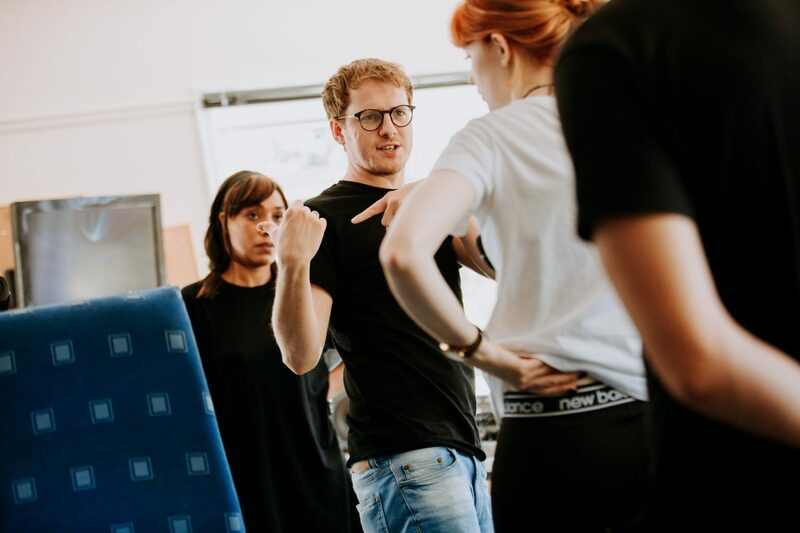 Applications are now open for our free Introduction to Directing programme, which is aimed at storytellers who are yet to do any formal training in directing or even theatre. Our new programme will give participants a taste of theatre-making across two weeks in April and May this year and is part of the Regional Theatre Young Directors Scheme (RTYDS). The first week of workshops will train people in a set of basic directing techniques. They will also have one-to-one chats with three directors from different stages in their careers to talk about their own journeys and how they make work. In the second week the new directors will put the skills they have learned into practice, by staging short ten-minute plays, written by the Middle Child Writers’ Group and performed by actors from their Acting Gym, to a small, friendly audience. Following the second week and the showcase of their work, Middle Child will also create a development plan with each director, to help them take their next steps into theatre. Applications are now open and close on Wednesday 14 February. People can apply by sending an expression of interest in a way that is most accessible to them, such as by email, phone or by speaking to us in person. RTYDS, the UK’s leading programme of professional development for theatre directors at all stages of their development, is contributing to culture change in theatres, as directors from under-represented groups develop their skills to become creative leaders. RTYDS specifically aims to address the barriers arising from social, gender, financial, ethnic, cultural, geographic or educational disadvantage or disability and support regional talent, diversity and leadership.